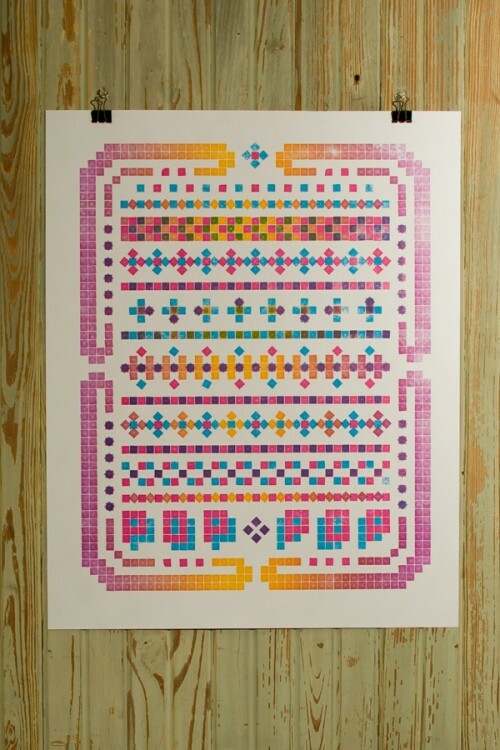 Pop Pop, a great pixel inspired letterpress print made with legos on a Vandercook. The design and printing was done by Physical Fiction which is made up of Justin LaRosa and Samuel Cox. See more of their prints and purchase one from them here. Pressing Letters is an effort to catalog and promote creativity in our expanding letterpress community. Studios and individuals are invited to submit letterpress work, references, links or anything else that would be beneficial to others.